We get deals done by delivering secure solutions uniquely designed to maximize the potential of each 1031 Exchange. Our goal is to help you protect equity in your investments and give you the freedom to pursue your goals. THANK YOU FOR YOUR HELP IN SAVING 1031 EXCHANGES! So why is working with Equity Advantage on a 1031 exchange right for you? We’re experts in 1031 exchanges, an IRS-authorized process that lets you exchange like-kinds of property—while deferring tax liability. 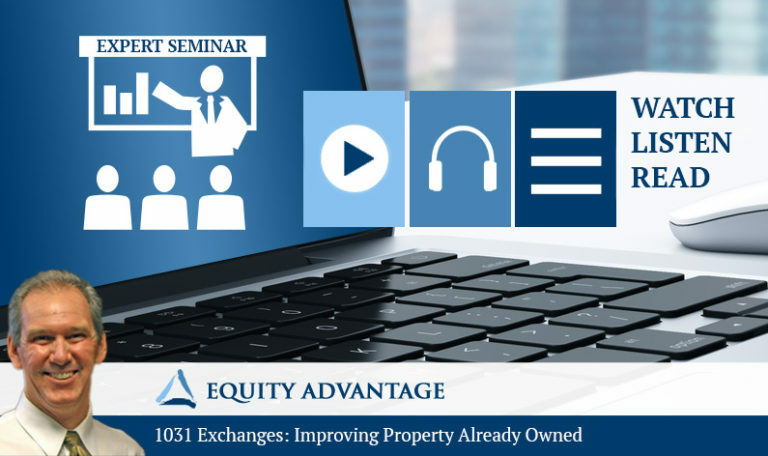 The professionals at Equity Advantage will show you how a 1031 exchange empowers you to move from investment to investment, while keeping your equity intact. Instead of facing taxes of a third or more on your gain with a sale of your investment property, put that money into a new investment with a 1031 exchange. Since 1991 we’ve facilitated the full range of exchanges. Our team includes experts in taxation and investment analysis, contract law, escrow, and real estate. we have the experience and expertise necessary to get the difficult deal done. Call today to speak to the 1031 Exchange experts. For more than twenty years, we’ve been the 1031 Exchange experts. We’ll help you with contracts, consult with you on taxation, evaluate investments, and most importantly partner with you. 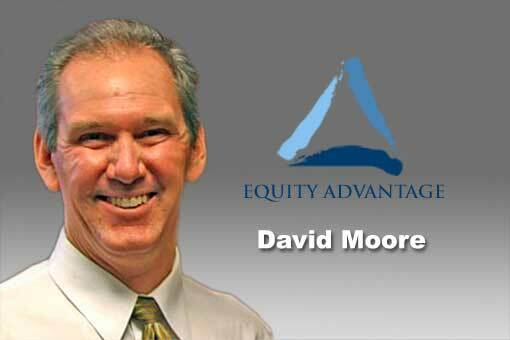 David Moore, CEO, founded Equity Advantage with his brother Tom in 1991, after a successful real estate investment career. David is a nationally recognized expert on 1031 exchanges and a former board member of the Federation of Exchange Accommodators. David is a Certified Exchange Specialist (CES). 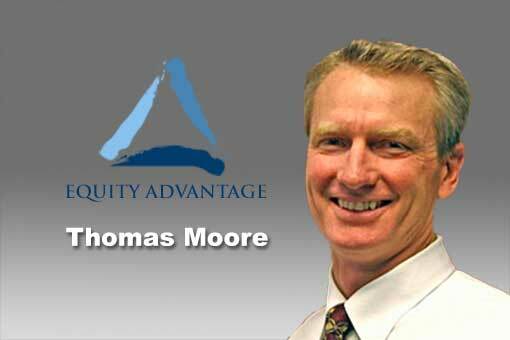 Thomas Moore is the President of Equity Advantage and a cofounder, with his brother David. Tom takes great pride in the firm being a true resource for clients, pointing to the number of repeat clients the firm has. He is a graduate of UC San Diego. We are here to answer your 1031 Exchange questions. It’s important to our clients to understand the process they are about to go through before they actually begin a exchange. For this reason, we’re only a phone call away, plus we offer classes and a wealth of 1031 Exchange reference materials on our website. A 1031 Exchange is an IRS-authorized process where like-kind business or investment properties are exchanged without immediate tax liability to the property owner (Exchangor). The IRS requires that an Exchangor use a neutral third party, known as an intermediary or accommodator, to facilitate a 1031 Tax Free Exchange. 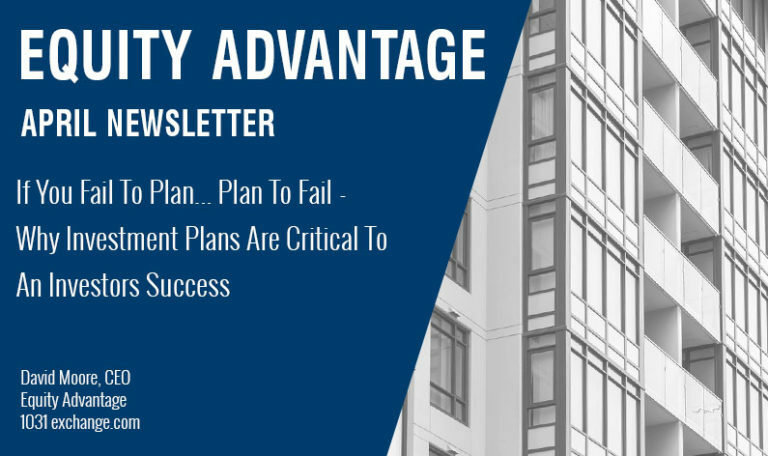 Equity Advantage, Inc. is a qualified intermediary agency able to properly assess the current 1031 Exchange rules and assist Exchangors with the process. 2 The Exchanged properties must be like-kind to one another. If selling real estate, the Exchangor must purchase real estate. If selling personal property, the Exchangor must purchase personal property of the same class. 3. 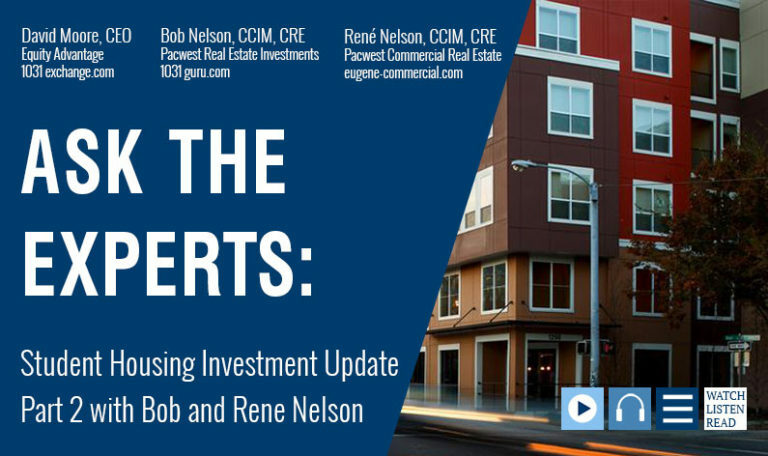 The exchange must satisfy the “Napkin Test.” This means, the Exchangor needs to go across or up in value and equity when finding a replacement property. If they reduce their value, they will owe taxes on the difference. 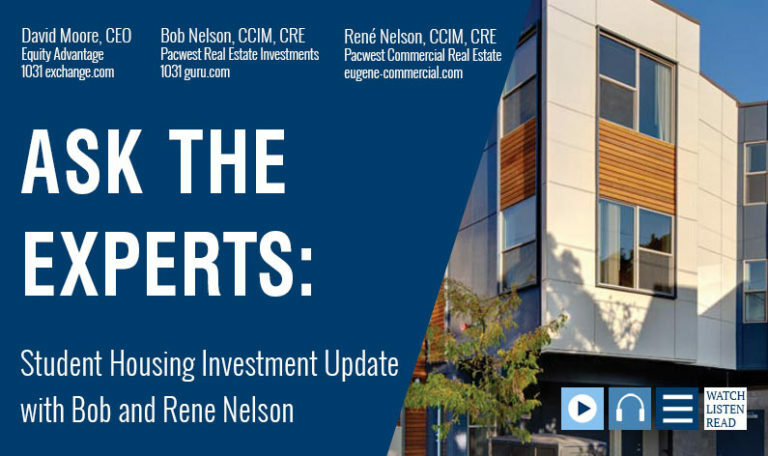 A Delayed Exchange allows an investor to relinquish a property today while taking up to 180 days to receive the replacement property. A Reverse Exchange allows an investor to acquire a new property today and to sell the old property later. The Reverse Exchange greatly expands the ability of the investor to take advantage of changes in the marketplace and to improve his or her investment position. Although the Reverse Exchange has been used for decades, the Internal Revenue Service did not issue any guidelines until 2000 when they published Revenue Procedure 2000-37. An Improvement Exchange allows the investor to acquire precisely the property they wish. Improvements can be as simple as repairs to current structures or as complex as ground-up new construction. The Improvement Exchange opens up many opportunities to the savvy investor, even the possibility of improvements to property already owned. An Exchange combing both Delayed and Reverse Exchanges. It is possible to sell one property before the replacement is acquired and to relinquish another property afterward. Call Equity Advantage today for answers to your 1031 Exchange questions. 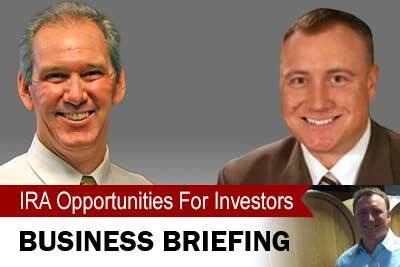 1031 Exchange expert, David Moore Equity Advantage CEO, answers what you want to know about 1031 Exchanges. 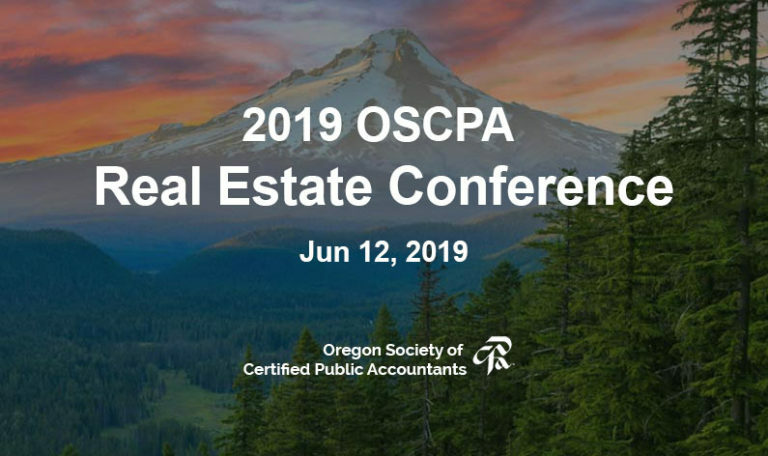 Listen or read, the last information regarding 1031 opportunities, best practices and expert tips. 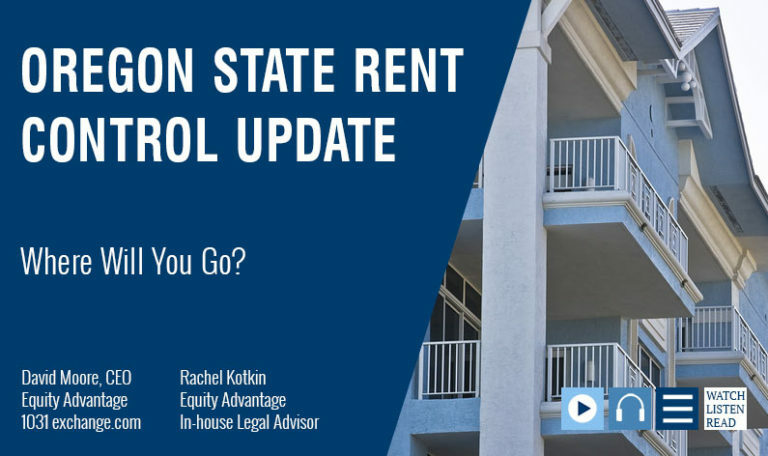 David Moore of Equity/IRA Advantage talks with in-house legal advisor Rachel Kotkin about DST, NNN, and TIC for property investors looking to make a change. David Moore of Equity Vantage IRA Advantage talks with in-house legal advisor Rachel Kotkin about Oregon statewide rent control. Making sure your money is safe and secure is the underpinning of investment decisions. 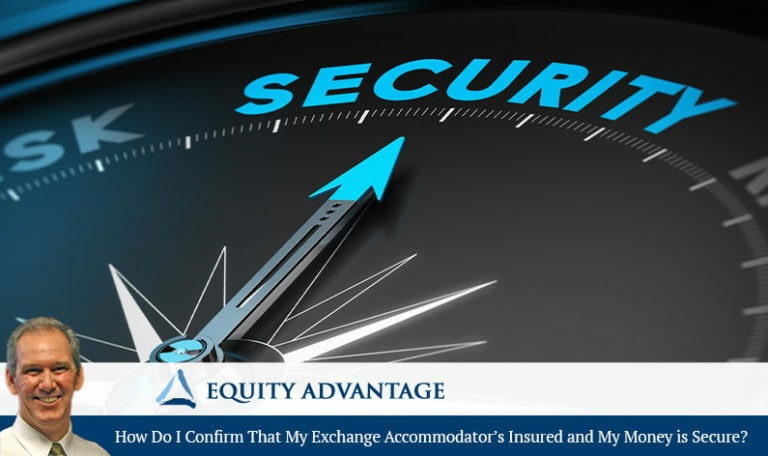 How to check on your exchange accommodator is insured and expertise. David Moore, Equity Advantage CEO teams up with industry experts to answer questions they are most asked by clients about 1031 Exchanges, market trends and opportunities in this video series. 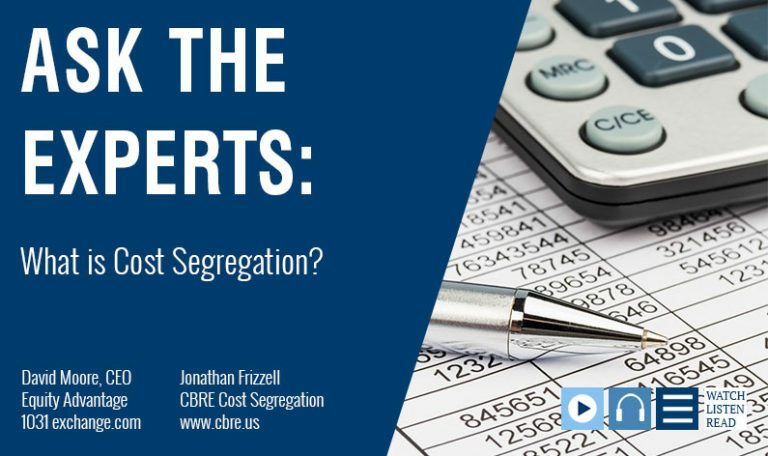 Watch, listen or read, to find out what the experts have to say. 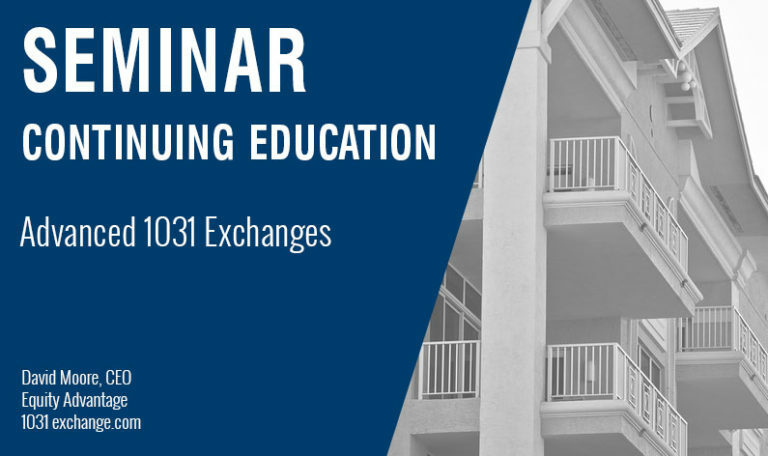 David Moore, Equity Advantage 1031 Exchange expert, will will teach you about the more advanced 1031 Exchange options available, and how to use them.